Najera Cosmetic and Plastic Surgery blends the skill of double board-certified plastic surgeon, Dr. Robert Najera, and an exceptional medical team to provide a one-of-a-kind patient experience. Offering cosmetic and plastic surgery procedures for the breast and body, we assist our patients in redefining their beauty and restoring their youth. 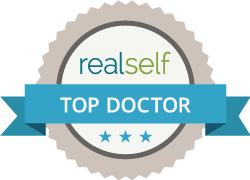 Dr. Najera strives to improve patient outcomes and uses a combination of surgical and nonsurgical skin rejuvenation techniques to achieve beautiful results. A procedure to restore tone and to lift a woman’s body after pregnancy. A procedure that places a silicone implant under the muscles of the buttocks to add roundness and size. A procedure that removes excess skin and fat, and tightens the abdomen. Dr. Najera’s surgical skill combined with an artistic touch has changed the lives of countless people undergoing plastic surgery. Dr. Najera, a.k.a. Dr. Dallas, understands the decision to have surgery is an important one. Your concern may be to minimize the signs of aging, revise an unattractive feature, remove excess skin from your body due to weight loss, or simply augment a portion of your body such as a breast augmentation. To put you at ease, we take as much time as necessary to listen to your goals and concerns. We understand that the decision to undergo plastic surgery is a personal one that takes careful consideration. It is important that our patients feel educated about the procedure they will undergo so that they can feel confident in the choices they are making. We take the necessary time and effort with each individual so that on the day of their procedure, they walk away feeling self-assured. Our patients love their results and are treated like a part of the family upon each return visit. To learn more, take a look at our patient reviews. This is the place you need to go to. From the start with my pre-op with Jessica Benenate I felt at ease talking with her. They are all VERY informative and so friendly and personable. My surgeon, Dr. Najera, is one of the kindest people I have ever met. He is so professional and did an excellent job going above and beyond my expectations. I can't stress enough how important it is to have a board certified surgeon who knows what they are doing AND cares about their patient's final outcome. This is what you get with Dr. Najera. I am so lucky I chose the best place to get my surgery done. I couldn't be happier with my results from Dr. Najera! I was recommended to him by my mother who is the queen of research. And she was right about choosing him. The staff was always sweet and helpful. I'm sure I annoyed them with questions constantly, but they never made me feel anything but comfortable and cared about. Amber and Jessica were awesome. Dr. Najera always has a really positive attitude and is honest and clear about what to expect. He gave me exactly what I wanted and I am so thankful for him and his staff really listening to my wishes. Whenever it came to anything beauty on myself, I was never 100% pleased with the results. With Dr. Najera, I truly was. I would recommend him and go back in the future! Excellent if I could give more than 5 stars I would. Honestly one of the best experience ever from staff to doctor 5 ??. I can't say enough great things about Najera Cosmetic and Plastic Surgery. The facility is beautiful, and every member of the staff that I have encountered so far has been super friendly and helpful. If you are seeking some kind of cosmetic injectables, do yourself a favor and make an appointment with Linda asap! I tend to be a 'Nervous Nelly' and can't help but ask millions of questions, but she was patient, friendly, and knowledgeable. Above all else, your comfort and complete satisfaction is her priority!! !